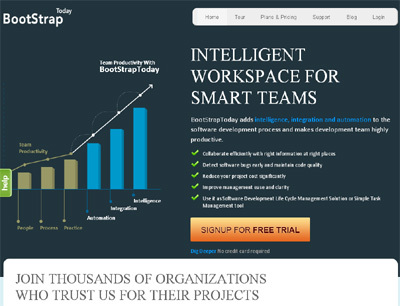 BootStrapToday is an Application lifecycle Management platform on SaaS model, for software development teams. With Built in integration, intelligence and automation, it helps project teams detect bugs earlier and improve software quality. This directly translates into reducing cost of software development. Built-in Intelligence and automation is our USP. Our business model is on resource usage not per user or feature based.